Paul was raised on a tobacco farm in Pittsylvania County and received his bachelors and masters degree in economics from North Carolina State University. 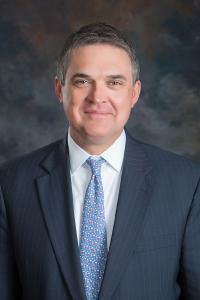 He is an Investment Executive with the Richmond-based investment firm Davenport & Company LLC. The first twenty years of his career were spent in the domestic and international leaf tobacco business; twelve of those with Dibrell Brothers and DIMON. He has served on numerous non-profit boards over his career and is a past president of the U.S. Leaf Tobacco Exporters Association and Twins Springs Elementary PTO. He currently serves as president of the Olde Dominion Agricultural Foundation. A native of Danville, Lucius B. Chandler, Jr., attended Averett University and Virginia Commonwealth University, receiving a Bachelor of Science degree in management-psychology. The new DRF Advisory Member to the Board recently graduated from the Duke University Nonprofit Management Program. Lucius was formerly employed by the West Piedmont Workforce Investment Board as the Regional One Stop Systems Oversight Manager, managing the two comprehensive Virginia Workforce Centers in our region. He is active in numerous community organizations and serves on the Board of Directors with God′s Storehouse and Big Brothers Big Sisters of Danville Area, Inc. 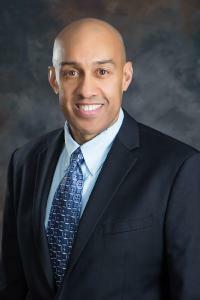 In addition, Lucius is Assistant Treasurer with Cherrystone Missionary Baptist Association and serves as Chairman of the Trustee Board at Bellevue Baptist Church. Raised in the Washington, D.C., suburb of Rockville, MD, Alexis Ehrhardt has lived in the Dan River Region since 2000. 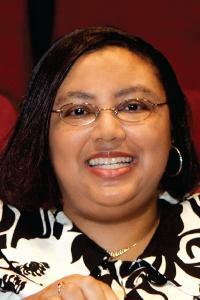 She graduated with a double major in Latin & Caribbean Studies and Spanish from Emory University. 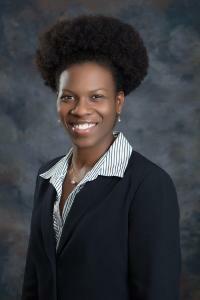 A graduate of the University of Virginia Master of Education Program, Alexis works in the Office of Academic Affairs at Averett University. Alexis is currently on the Danville-Pittsylvania County Habitat for Humanity Board of Directors, serves as a member of Riverview Rotary, and volunteers with the Danville Concert Association. Dr. Ensminger received his undergraduate training at the Virginia Military Institute where he graduated with Distinction in 1994. He completed his medical training at Robert Wood Johnson Medical School in Camden, New Jersey in 1998 and graduated in the top 25% of his class. He completed his OB/GYN training at Jersey Shore University Medical Center in 2002 serving as Chief Resident from 2001 to 2002 and was nominated to the Alpha Omega Alpha National Medical Honor Society in 2001. He achieved Board Certification from the American Board of Obstetrics and Gynecology in 2004 and has maintained it since. In addition to clinical practice, he is a consultant for Hologic, Inc. and Allscripts, Inc. and serves on their Physician Advisory Board. Outside of medicine Dr. Ensminger is an avid private pilot with Instrument and high performance endorsements. He is a proud father of three daughters and has been married to his wife Stacey since residency. Paul Erwin, a native and resident of Pittsylvania County, is a veterinarian and co-owner of Chatham Animal Clinic. Dr. Erwin earned a Bachelor of Science from Virginia Tech and a Doctorate of Veterinary Medicine from Auburn University. He primarily practices large animal medicine and surgery. 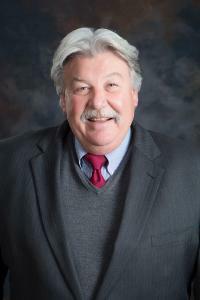 Paul is President of the Pittsylvania County Education Foundation, President of the Carlisle School Board of Trustees, and is on the Board of Directors of the Danville Pittsylvania County Chamber of Commerce. Paul is married to Lucy Erwin. They have two children, Dixon and Mollie along with a menagerie of dogs, cats, horses and cows. Missy Neff Gould is a Danville resident and native of South Boston. Missy serves as Director of Legislative Affairs for The Nature Conservancy where she handles state and federal government relations. After living in Richmond and working in and around state government for 12 years, Missy and her husband, Steven, moved back to Southside in 2013 hoping to be a part of the positive change they saw occurring in the region. Missy is passionate about preserving and protecting Virginia′s natural resources, promoting targeted economic development efforts and being an advocate for the region at the state level. 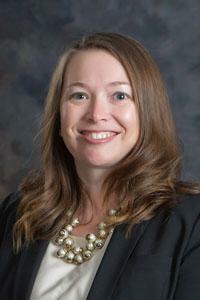 She is a gubernatorial appointee to the Virginia Tobacco Commission and serves on the boards of the Virginia Public Access Project and the Danville Community College Education Foundation. 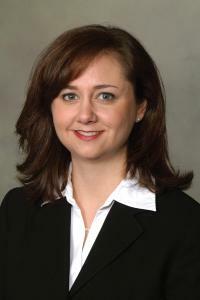 She is a member of Danville Riverview Rotary, Danville United and the Dan River Basin Association. A native of Danville and currently residing in South Boston, Bryan studied Statistics, Mathematics and Computer Science at Virginia Tech. Employed by the City of Danville, he is the Health and Wellness Program Coordinator for the City’s Parks and Recreation Department. His passion is fitness and advocating healthy living in his community. He currently chairs the Community Improvement Council, Inc. - Danville Head Start. 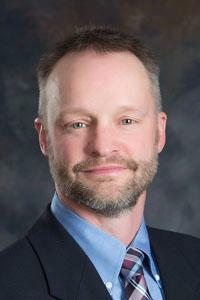 He is a founding board member of the Danville Rotary After Hours Club and board member of the Boys and Girls Clubs of the Danville Area and Regional Alliance for Substance Abuse Prevention. He is also a Fellow for the Middle Border Forward program.